Attorneys for Dzhokhar Tsarnaev focused Tuesday on his character and the dysfunctional nature of the Tsarnaev family by highlighting problems several family members faced during the fifth day of defense testimony in the penalty phase of his trial. Tsarnaev, a 21-year-old former University of Massachusetts Dartmouth student, was found guilty of placing bombs at the finish line of the 2013 Boston Marathon. He faces the possibility of the death penalty on 17 of 30 charges. The defense first called Amanda Ransom, a graduate of Suffolk University and a former roommate of Katherine Russell, Tamerlan Tsarnaev’s widow. She spoke about her experiences with Tamerlan and their role in ending the roommates’ friendship. Russell met Tamerlan when they began dating during freshman year of college in 2007, Ransom said. There were times, she said, when she felt uncomfortable around him. As their relationship progressed, Ransom said she observed Russell starting to dress and act differently. Ransom recalled an incident in which Russell and Tamerlan got into a loud argument. He also yelled at Ransom to come downstairs, she said. Elizabeth Zamparelli took the stand next and spoke about her experience as a former classmate of Dzhokhar’s at Cambridge Rindge and Latin School. She said she considered Dzhokhar a friend and someone she turned to when facing her own problems at the time. 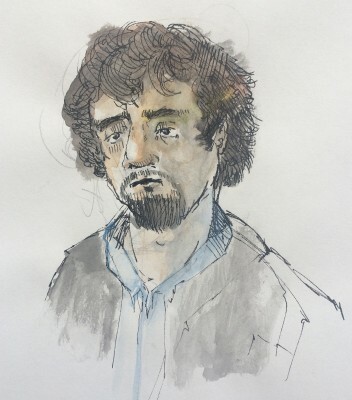 When photos of suspects in connection to the marathon bombings first appeared, Zamparelli said she remembers thinking they looked like Dzhokhar, but did not think they were of him. Mirre Kuznetsov, a storeowner who served the Russian community, said she met the Tsarnaevs in 2005. “They were a very nice looking family [and] close to each other,” she said. After a year had passed, she said, she was “surprised” to see Zubeidat Tsarnaeva, Dzhokhar’s mother, covered and wearing a hijab, different than her usual “fancy” clothing. Seeing Tamerlan with a beard “looked very strange,” she said. Alexander Niss, a psychiatrist now based in Los Angeles, treated Anzor Tsarnaev, Dzhokar’s father, for posttraumatic stress disorder over a two-year period. Anzor sought help for hallucinations, seizures, anxiety and paranoia related to his experiences with war in the Caucasus region of Europe, Niss said. “He vividly saw [and] he was hallucinating and saw as it was at that time,” Niss said. Over time, Niss said Anzor’s seizures, paranoia and anxiety reduced, but he still had concerns about his physical health. Michael Reynolds, a professor of Near Eastern studies at Princeton University, provided historical and cultural context about Chechnya, the country where Anzor’s family is from. Reynolds explained the Chechen code of conduct, called “Adat,” which sets standards such as a strong family unit with the father in charge. Bonds between brothers are also important, he said. “The younger brother owes his deference and his loyalty to the older brother,” he said. The first war between Russia and Chechnya began as a secular movement to establish a Chechen national state, until Arab leaders introduced ideas of radical Islam, Reynolds said. Websites such as Kavkaz Center are examples of the Internet presence and influence jihadists have had, Reynolds said. The browsing history on devices belonging to the Tsarnaev brothers showed they visited Kavkaz Center and watched videos about Islam. “Instructional”, “atrocity” and “motivational” were the main categories the videos fell under, Reynolds said. During cross-examination, the prosecution confirmed that none of the members of Tsarnaev’s immediate family was born in Chechnya. The prosecution presented Reynolds with a copy of a paper he wrote called “The Northern Caucasus, The Tsarnaevs, and Us” from the Foreign Policy Research Institute, published in May 2013. Reynolds wrote the paper after the bombings before the defense contacted him, he said. The prosecution posed various scenarios to Reynolds, asking if customary traditions would be broken if a child went against a father or older brother. These scenarios included orders not to smoke, drink alcohol or sell drugs. “There are different levels of infractions, but infractions may not be the right word because that implies a systems of regulated law,” Reynolds said. Next, the defense called Henry Alvarez, a former wrestling teammate of Dzhokhar. He and Dzhokhar joined the team the same year, he said, and they bonded through the training. Alvarez mentioned that Tsarnaev returned to his high school during his winter break to help out with practices. Lastly, the defense called Roy Howard, who coached the wrestling team. Dzhokhar became a co-captain of the team by junior year, Howard said. The defense ended questioning for the day by asking if the actions that took place during the 2013 Boston Marathon were those taken by the same wrestler he knew. Howard said they were not. 1944 genocide of Chechens and Ingush: “American historian Norman Naimark writes:”Troops assembled villagers and townspeople, loaded them onto trucks – many deportees remembered that they were U.S . Studebakers, fresh from Lend-Lease deliveries over the Iranian border – and delivered them at previously designated railheads. …Those who could not be moved were shot. …[A] few fighters aside, the entire Chechen and Ingush nations, 496,460 people, were deported from their homeland.” Now why would “clueless” Americans deliver Sutdebaker trucks for mass genocide of Caucasians all across the globe to Iran and not to usual northern rout which is much much much faster? The answer is obvious. 1992 genocide of Ingush people: Voice of America and Radio Free Europe in unison claim that the East prigorodny district is the conflict between Christian civilization and Muslim civilization. Huge amounts of money transferred to Russia to support the Christian terrorism toward Muslim Ingush. George H.W. Bush praises Yeltsin’s efforts in exterminating Caucasians. 1994-2008 two genocides of Chechens: “Dzhokar Dudayev, the moderate Chechen leader, was assassinated in April, 1996 by the Russian FSB thanks to technology reportedly supplied by the US National Security Agency. All the moderate Chechen leaders were assassinated, leaving only a handful of extreme militants. The US largely financed Yeltsin’s wars.”-Eric Margolis. -“President Bill Clinton actually lauded Boris Yeltsin’s as “Russia’s Abraham Lincoln.” I guess leaving Caucasians role of “Native Americans”. Everybody in the Caucasus know Boston marathon bombing is the US-Russian joint operation to boost Russian security for Sochi-2014 winter games. Bit of a history: 1 year before the games the Caucasian resistance leader Doku Umarov ordered to stop the games on the place of genocide of Caucasians by Christian Russian terrorists on Krasnaya Polyana. 3 months later the US-Russian terror group finds 2 scapegoats and frames them. The bombs are made mostly to injure, not kill. The only ones who benefited from the bombing were Russians. Money started pouring into Sochi scam project for defense from Caucasian “terrorists” and the games became the most expensive in the history of the world. “You’re right it’s not in the best interests of the Caucasus Emirate [a self-proclaimed alternative state in the region, regarded as a terrorist organization by both Russia and the U.S.] and Chechen insurgents to have any attack against the United States. It doesn’t make good sense from their point of view. In fact, Dokka Umarov [leader of the Caucasus Emirate] said recently and very publicly that Chechens fighting in Syria should not be there, but should be home fighting for Chechnya.” – Robert W. Schaefer, a U.S. Army Special Forces Green Beret with many years experience planning and executing counterinsurgency and counterterrorism operations in the Caucasus region.